A huge hit! Big River Crossing opened Sat., Oct. 22, 2016. 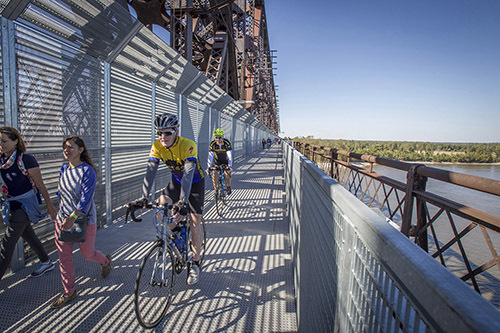 It's the transformation of the historic Harahan Bridge that adds a bike and pedestrian crossing from TN to AR across the Mississippi River at Memphis. 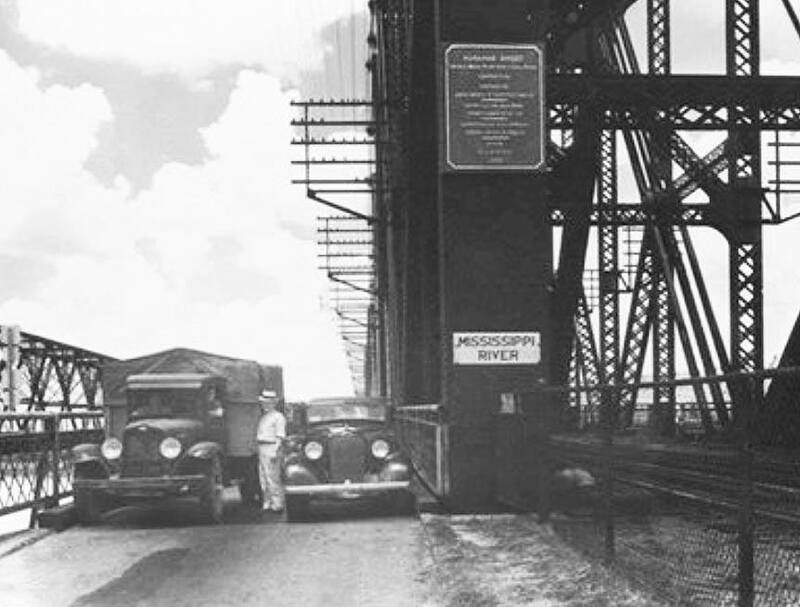 The brainchild of Charles McVean, Big River Crossing is "nearly a mile long, the longest public, pedestrian bridge across the Mississippi." 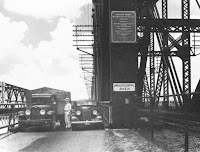 Harahan Bridge was built as a railroad bridge with "wagon ways" on each side, boardwalks for wagons and automobiles. It's the boardwalk on the north side that is becoming the new pedestrian/bike pathway. Big River Crossing is a major component in what's being called the green renaissance in the Memphis, and it brings that green vision downtown to our riverfront. At a cost of $17.5M, Big River Crossing is part of the larger 10 mile "Main to Main" $43M connector project between Main Street in Memphis and Broadway Ave. in downtown West Memphis. It has led to the creation of a 1,700 acre Delta Regional Park adjacent to the Bridge in AR that includes a seven-mile trail system and to the Big River Parkway Levee trail (73-miles) funded and under construction in Eastern Arkansas.